Day 7 of the Holiday Card Series 2018. The series consists of 25 holiday card videos on Monday, Wednesday, and Friday of each week until November 30. 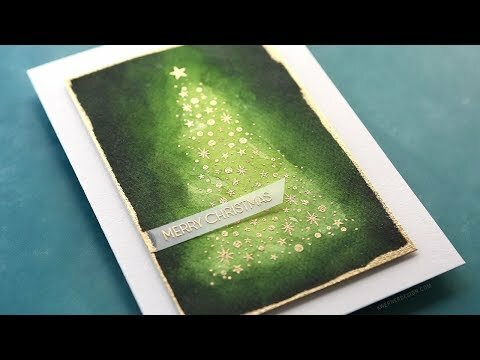 Today’s card features stamped metallic embossing with watercolor resist. • Bazzill Heavyweight Vellum, 40 lb.